Traders — Eat Me Drink Me | Food, drink and event experts in West London and beyond. Beehappier is honey from the pristine areas in the north of Spain where the beekeepers incorporate a friendly system to preserve the biological qualities of the honey. Bees follow blossoms from different plants in a pristine area of the Pyrenees to obtain a high quality raw mountain honey. Varieties include apple, chestnut, eucalyptus, heather, lavender, oak, orange, rosemary and thyme. Hellenic Deli offers premium extra virgin olive oil which has won 22 awards globally in just two years, rare honey and honeycomb products, wild herbs and natural sea salt. Their products are highest quality, artisan produced, and either organic or naturally free from pesticides. If you dream of returning to your favourite Greek island, Hellenic Deli is a good start. Raw Artisan Honey supply a range of raw unprocessed honey, ethically sourced from small producers. 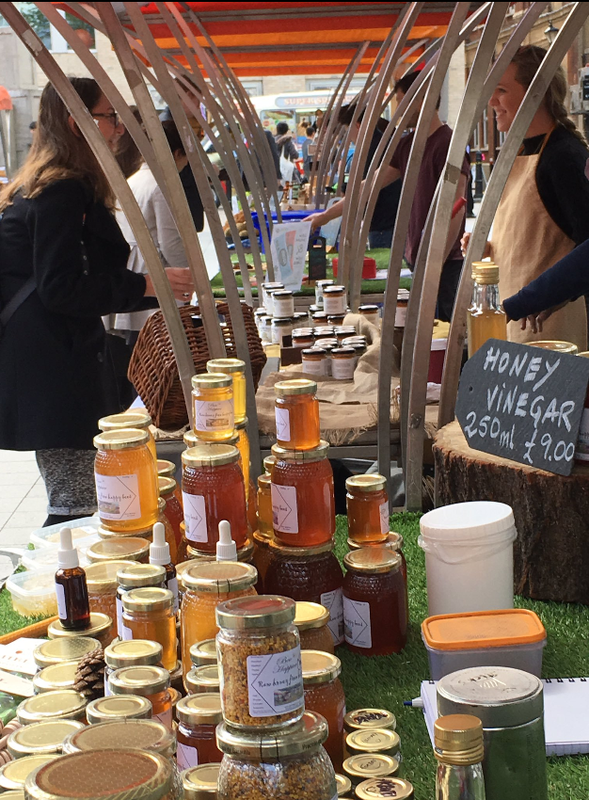 They also offer a small range of 100% natural, low sugar, additive free artisan jams, cordials and fresh lemonade with honey. Il Belice Valley owner Tiziana has based her company on her family business in Sicily, which means we are privy to olive oil produced by her father in their small family olive grove. The oil is made only of 100% Nocellara olives looked after with traditional methods, ensuring the best care in production and quality. Sara Ward and her family have transformed their West London Victorian terraced house into an urban smallholding, allowing them to have the best of both worlds - city and country. They are living the good life complete with 20 hens, two colonies of honey bees, a fruitful kitchen garden and a micro bakery making 30-40 loaves of bread each Friday along with hundreds of sticky buns, cakes and savoury treats.